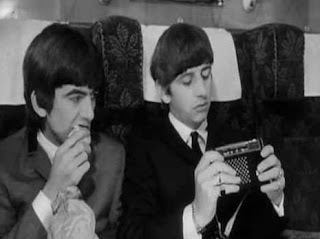 A few months later I got my first guitar, and immediately began watching A Hard Day's Night even more closely, watching John and George in particular to see if I could figure out which chords they were playing. Soon after, The Disney Channel started running Help! as well, and I quickly became obsessed with that film as well. 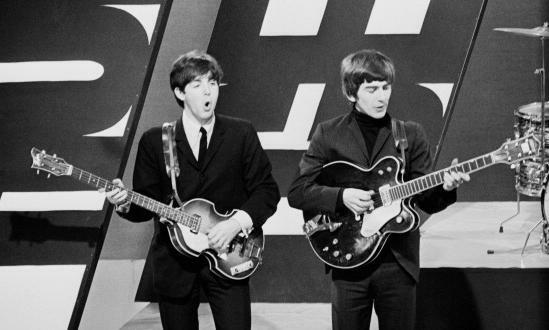 It was a short hop, skip, and jump from there to the point where I started buying Beatles CDs and trying to play along with them, and after hundreds upon hundreds of hours spent listening, playing, and studying the music, the rest is history. I primarily play acoustic guitar because I love the flexibility of the instrument. You can strum it, you can finger-pick it, you can bend the strings and play the blues, and just as quickly slip into softer ballads. For a solo performer, it might just be the perfect instrument. After years of being exposed to great fingerstyle guitarists like Michael Hedges, Laurence Juber, Phil Keaggy, and many others, I've learned that there are a thousand little tricks to making the acoustic guitar come alive. You don't just have to chunka-chunka-chunka your way through block chord progressions, with a little bit of effort you can add bass lines to your rhythm, as well as lead parts. It's those flourishes that make playing The Beatles all the more fun, and this web site exists to share my excitement over the things I've discovered along the way, as well as the things I continue to discover as I keep working my way through the music of The Beatles (and their respective solo careers as well). So enjoy the site, follow me on Twitter, check out my Facebook page, send me an email, and most of all, if something I've shared here made you say "AHA!" or opened up your horizons as a guitarist, drop me a note and let me know. That's really why I'm doing this. I want you to fall in love with The Beatles, and with the guitar, whether that's for the first time, or for the first time in several years.